Balavihar classes and other activities for children take place at Chinmaya Saaket, planned and executed with seemingly effortless coordination. This seamless integration would not be possible without various committees and sevaks and sevikas that work behind the scenes to make it possible. Please take a look at the various opportunities available and identify your talents and/or interests. If you would like to help or need more information about any of the opportunities, please contact the Balavihar coordinators. Learn who are some of the dedicated people already helping in these different areas. Recruit Teachers: This is an ongoing activity wherein Swamiji and the coordinators are always on the lookout for fulfilling the ever-growing need for more teachers to teach kids attending Balavihar. Registration: The Registration Committee is responsible for ensuring the end-to-end registration process. We need help in collecting the registration forms, entering the information in the database, and maintaining the same. Database help for Registration: This committee is seeking volunteers to streamline the various databases that we have. Going forward a decision has been made to maintain one single database at our institution. If you have skills in managing databases or would like to learn how to do the same, this is the right choice! Prayer Session Monitors: During the assembly we need parent-volunteers to be the doorkeepers who instill discipline. The hall doors are closed promptly when the assembly starts. People who are unable to get in the assembly hall are encouraged to sit either in the temple, or in the hallways that lead to the classrooms. The hall doors are opened again just before the announcements. Balavihar Festivals: Balavihar celebrates various festivals throughout the year. In addition, children present skits and other cultural activities on stage. Have you noticed how appropriately the stage is always set for these events? It always creates the perfect ambiance to transport the viewers into that mystical land and time! Join this committee and see how it brings out the best of your creativity. Seva Projects: This group helps organize our senior Balavihar students to get involved in the community. In the past they have been involved in projects to collect medicines and other necessities for those in need, clothes to be sent to India, and organized a walkathon to raise funds for City House. 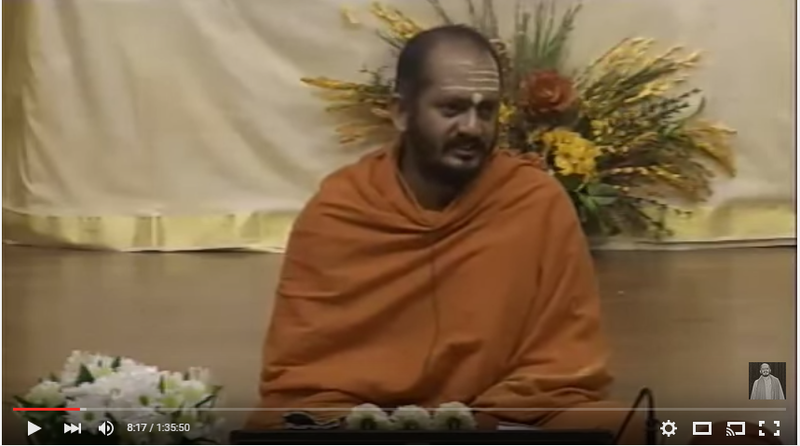 Curriculum: Swamiji designs the age appropriate curriculum for the children attending Balavihar. Please contact him directly if you have any questions. Slokathon: Slokathon is a self-paced program that teaches children how to correctly chant several important scriptural verses. Although Slokathon books, audiocassettes and CDs are available at the bookstore in Saaket, nothing can come close to being guided by a live teacher! Slokathon teachers teach the correct pronunciation and intonation so that children can chant effortlessly. It is a great way for adults to perfect their own skills while teaching the children simultaneously. Accounting: Teachers sometimes incur additional expenses as a part of teaching. Receipts are submitted so that they can get reimbursed for the same. In fact, teachers are strongly encouraged to submit all expenses related to Balavihar classes so that we can get a fair idea of how much it costs to run Balavihar! However, someone needs to collect these receipts and manage the accounts. If you are detail oriented and have a flair for accounting you should consider joining this committee. Supplies/Storage/Inventory: All Balavihar sessions accumulate a lot of supplies that increase our inventory levels. In order to reduce redundancy and duplication, this committee organizes and manages the supplies. Items are kept in storage and can be checked out by teachers when needed. They also ensure that those items are received back in at least the same condition (if not better!) when they are returned. Teachers’ Library: The Resource Center for Balavihar teachers maintains books, audio, and video materials that can be checked out by Balavihar teachers. This committee facilitates the smooth process of checking out the resources and receiving them back in a timely manner. The Resource Center is located in Prayag and teachers can check out the materials either before or after the teachers’ satsang on Sundays. 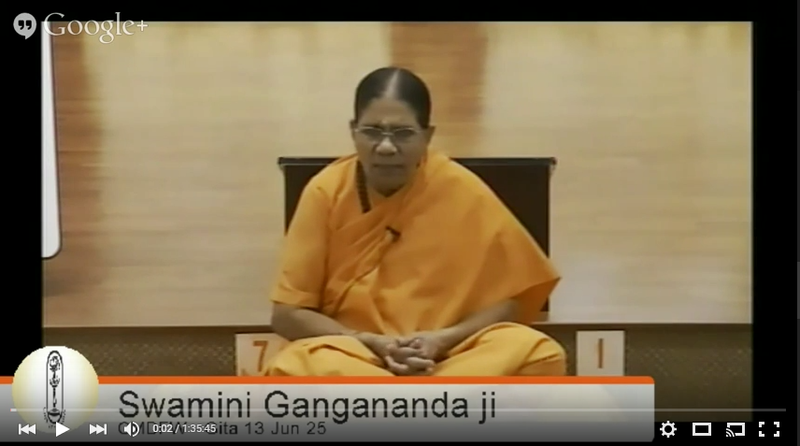 Gita Chanting: Each year children and adults participate in Gita chanting competition. 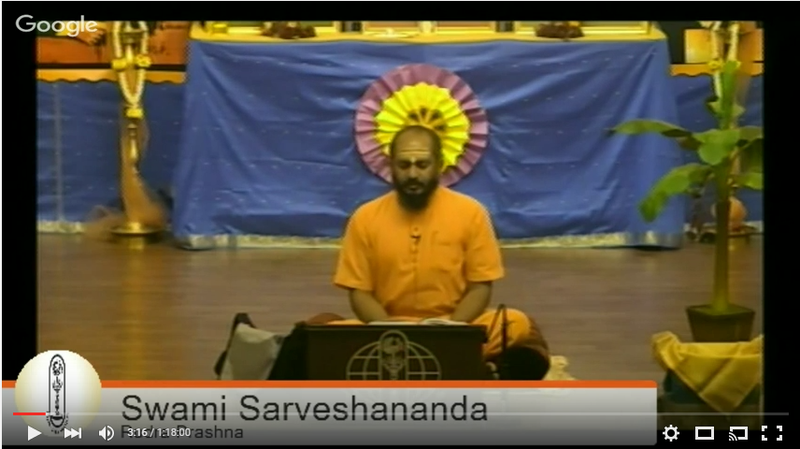 During the Sunday assembly, Swamiji teaches selected verses throughout the year. You can get involved by helping the children learn how to pronounce and chant the verses correctly. Teacher Training: Throughout the year Swamiji leads teacher-training sessions to ensure that those who have been recruited to teach also get the support they need to be successful. Various topics are covered and timely teaching tips-n-tricks are offered to empower the teachers. 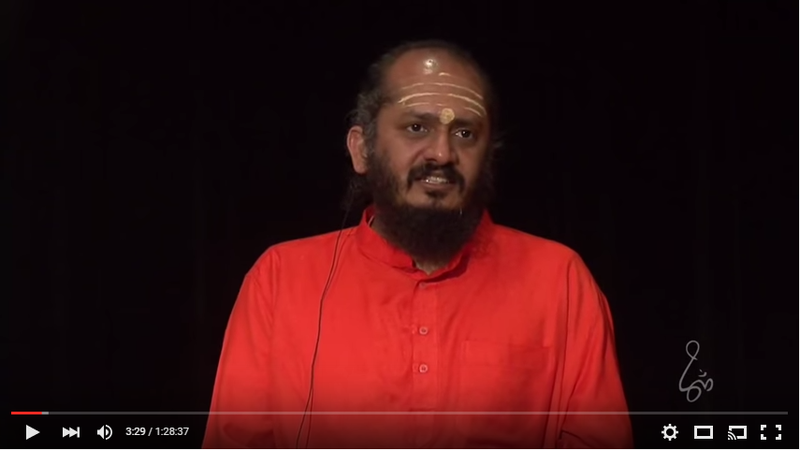 Contact Swamiji directly for questions related to teacher training. Web Team: Every week the Balavihar teachers post a detailed update of what was taught in the classroom. However, we all like to be “invited” and this committee ensures that extra TLC (Tender Love and Care) for teachers. The database tables are set up so that teachers can input their information. The Saaket website contains an entire section dedicated to Balavihar. This team will ensure that the information is relayed to the web team in a timely manner so that it stays current and updated. Birthdays: Children’s birthdays are celebrated on a designated Sunday each month. During assembly their names are called so that they can offer flowers to Gurudev’s padukas, and then everyone in the assembly sings the birthday song for these children. This committee ensures that the entire process flows smoothly. It entails setting up the padukas, getting flowers, and managing the logistics of lining up the children before/after offering flowers, and then getting the children back to their seats! Teachers’ Yahoo Group: The teachers’ yahoo group allows teachers and coordinators to send emails to the whole group. Only constructive and positive emails are acceptable, negative and derogatory emails are definitely not allowed. Balazine (Balavihar Magazine): This is an on-line magazine for the children, of the children, by the children. The committee encourages children to submit articles, suggest different ideas to write about, and do whatever else it takes to nudge children to stay motivated and contribute. Technical Maintenance: Managing the Audio/Video room is required so that we aren’t obstructed by “technical difficulties”. This group handles electronic equipment that is required during different occasions. 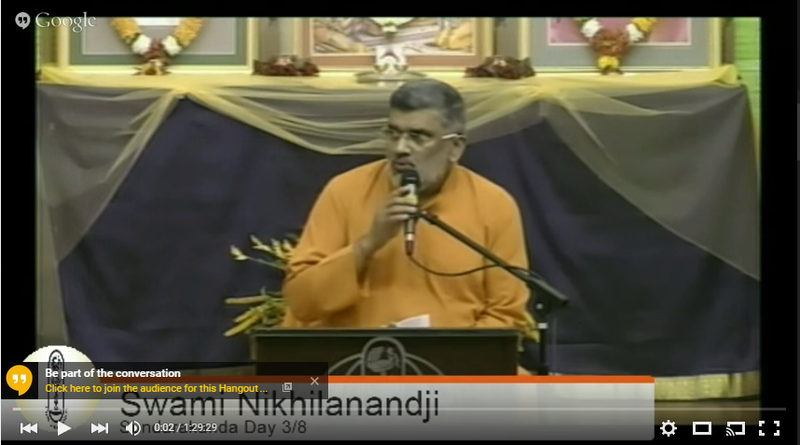 It includes adjusting microphones, setting up video presentations, recording during Swamiji’s lectures, and other activities. Stage Maintenance: Each Sunday the stage has to be ready for Balavihar sessions. Among other things, it includes setting up the arati. If you can come early on Sunday mornings to help with the set-up, please join us in this wonderful way of focusing and tuning our minds to the Lord! Extra-Curricular Activities: Additional activities like lock-ins for children, etc. are a part of ongoing efforts to bond with members of the Saaket family. Lock-ins are held by grade level for elementary, middle school and high school children. Help organize food and fun for the children! Picnic: The annual picnic is usually held in October/November as a celebration of the festival season of Diwali and Dussera. Get involved with this committee and help organize games, food, prizes and other activities to make this a memorable event! Labor Day Camp: Each academic year, an off-site camp is organized on the Labor Day weekend for Balavihar children in grades 5 through 12. Children leave from Saaket on a Friday evening to go to the campsite for the next two days. Contact Swamiji directly if you would like to join the fun in the sun! Welcome Team and miscellaneous help: This group helps Balavihar coordinators to prepare for the start of the academic year in August. On the first day of Balavihar and the following few Sundays, this group greets the Balavihar families, distributes the CMDFW Handbook, explains the basic house rules like where shoes should be kept and directs them to the assembly hall. This group is also responsible for distributing the prasad and keeping order in the lobby during Balavihar Festival celebrations.